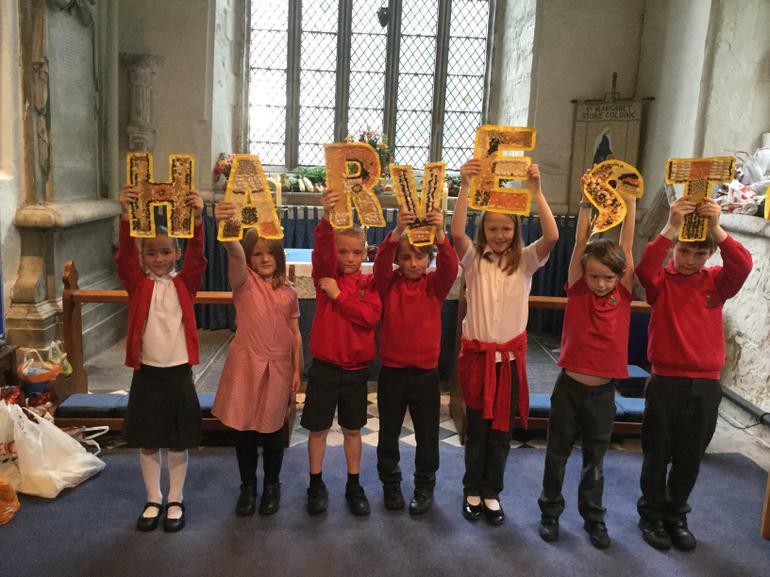 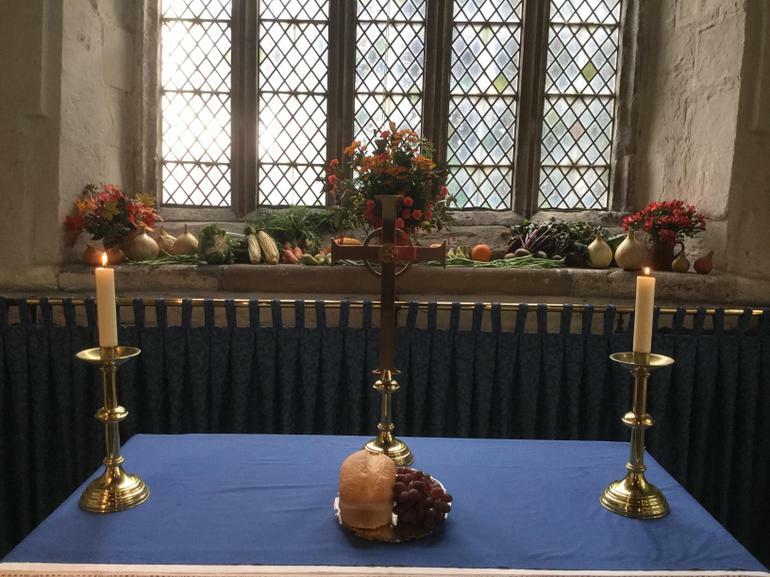 Harvest festival celebrations at St. Margaret’s Church. 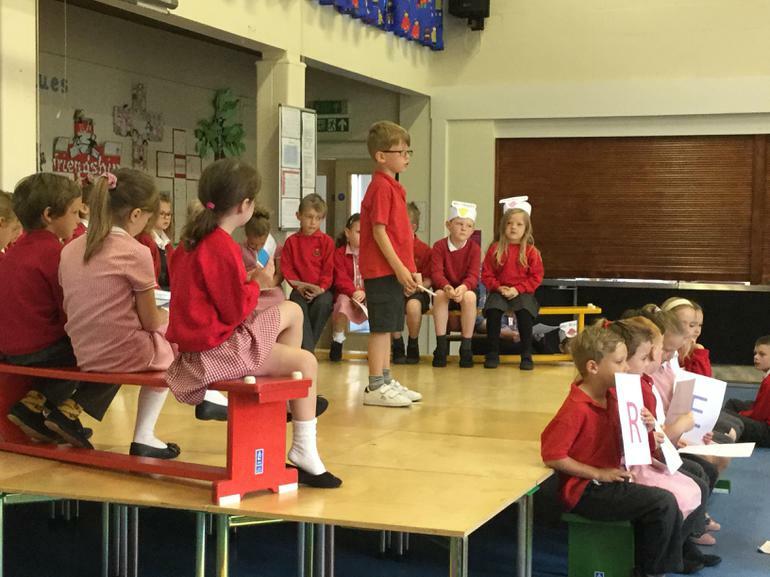 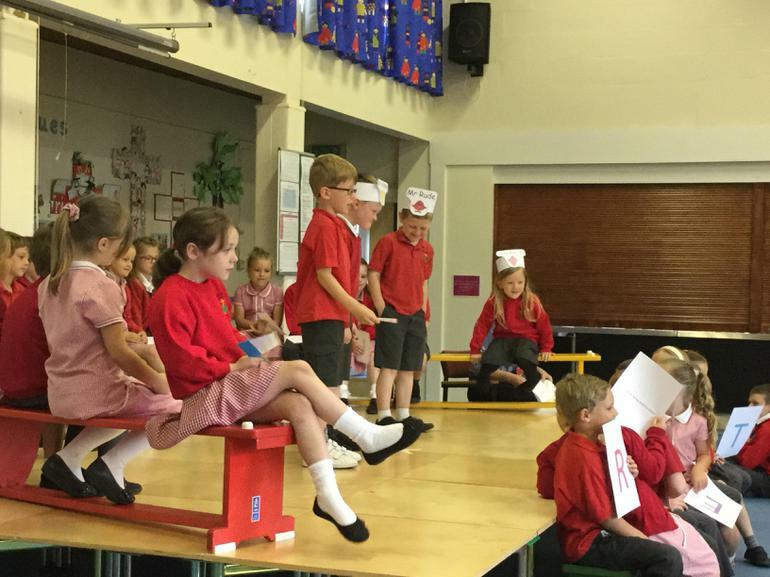 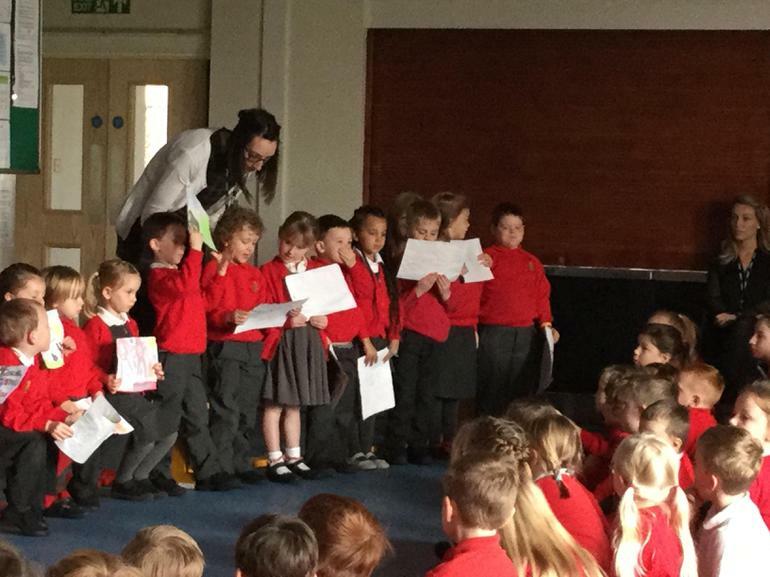 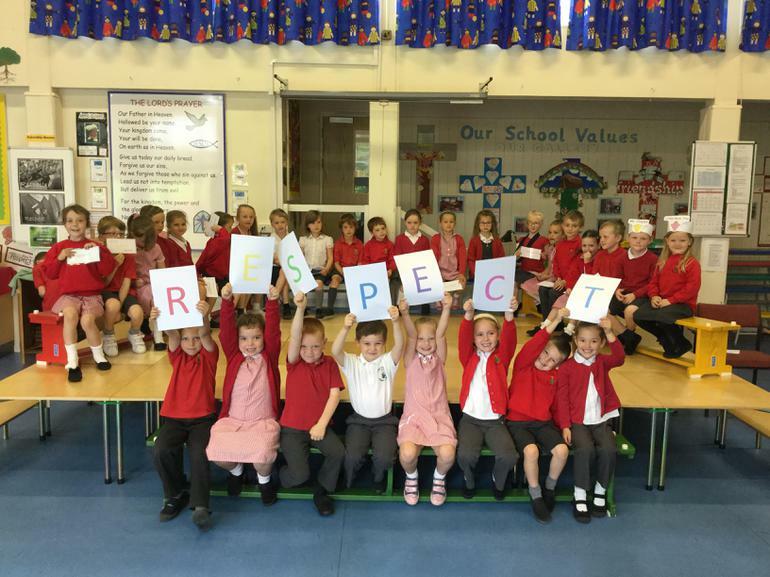 On Monday 13th June, Year 1 led our collective worship about our Christian value of respect. 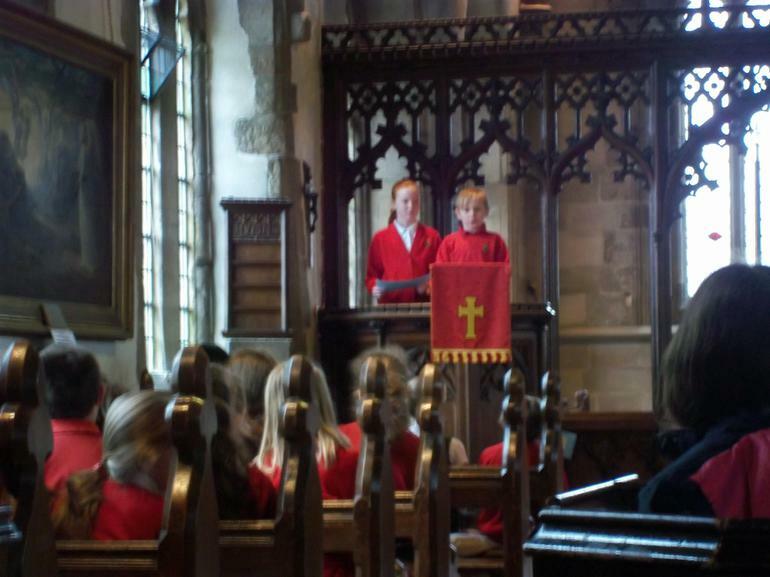 On 18th May 2016 Year 6 pupils enjoyed leading collective worship with the Open the Book Team. 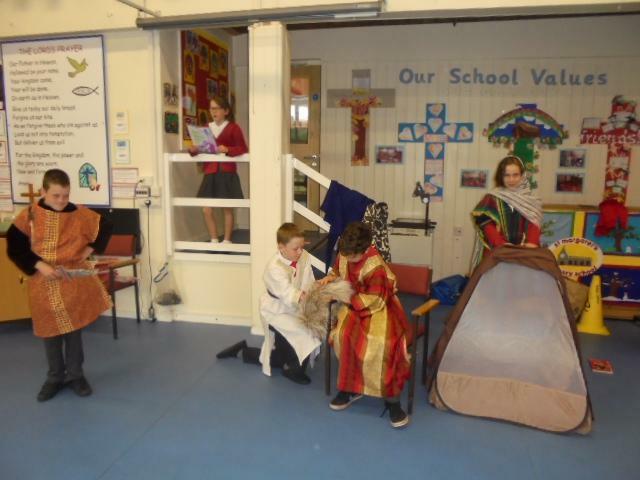 They performed the Bible story from Genesis of Jacob and Esau. 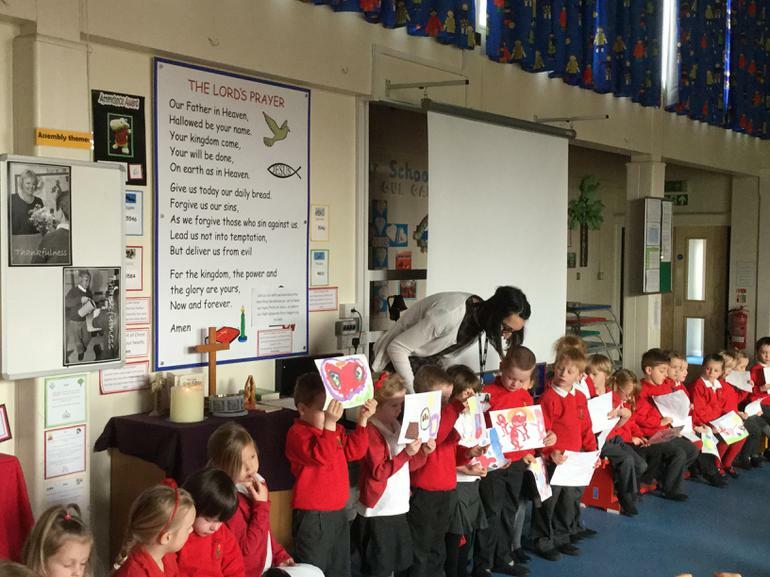 On Monday 11th April, EYFS led our whole school collective worship based on our Christian value of thankfulness. 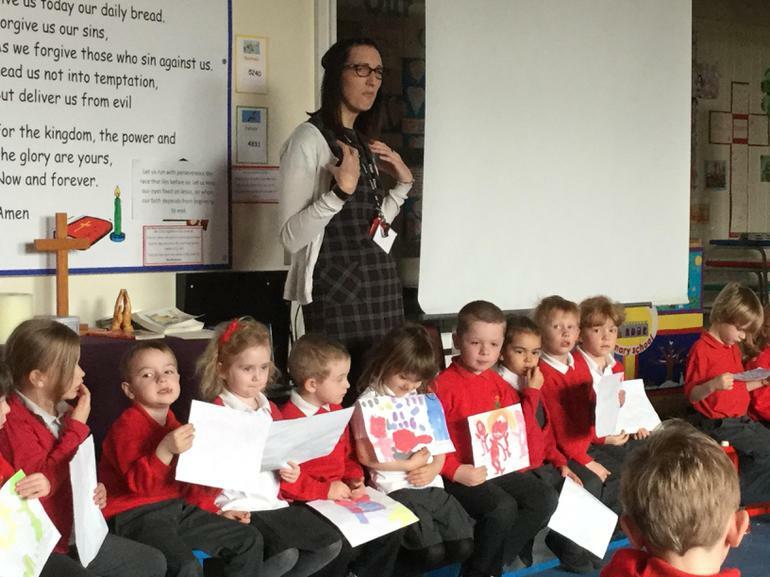 Miss Steele told us the story of the loaves and the fishes and we thought about who was thankful and what for. 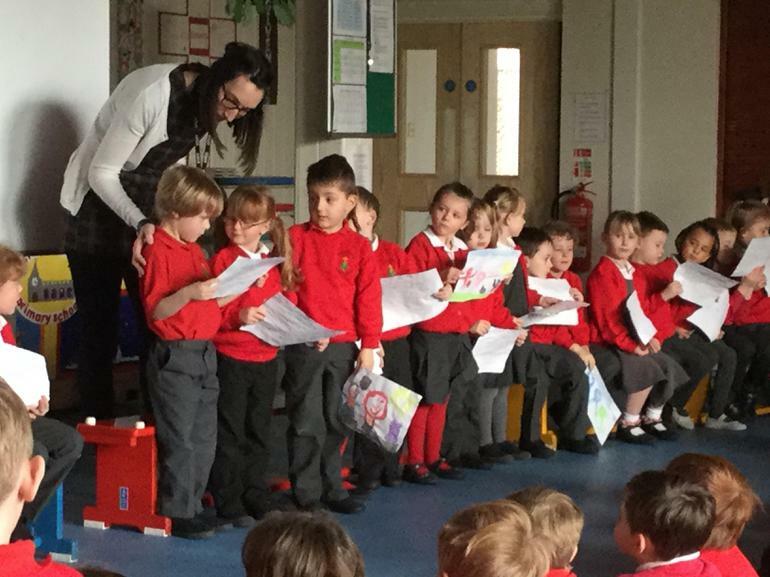 The children shared with us their pictures which they had painted about things they are thankful for. 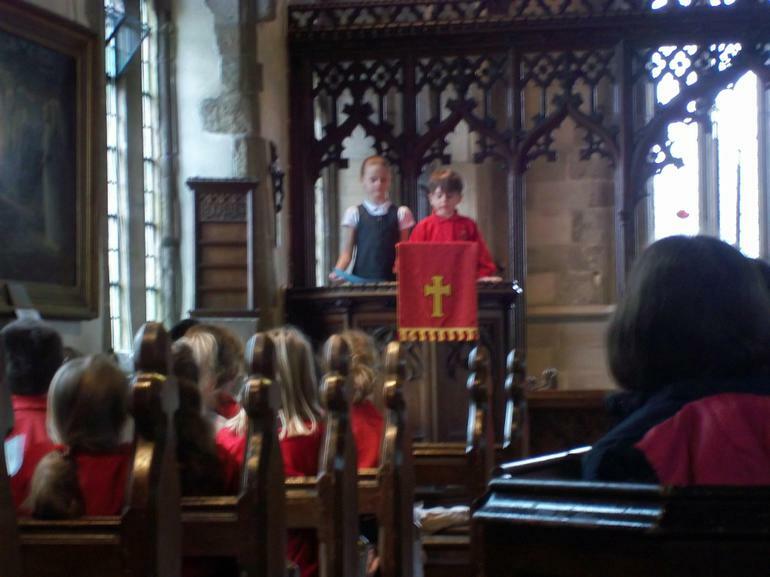 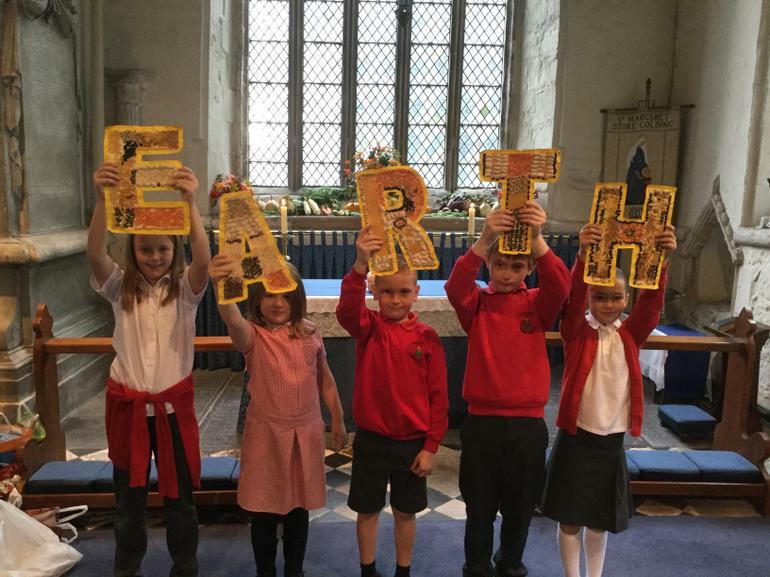 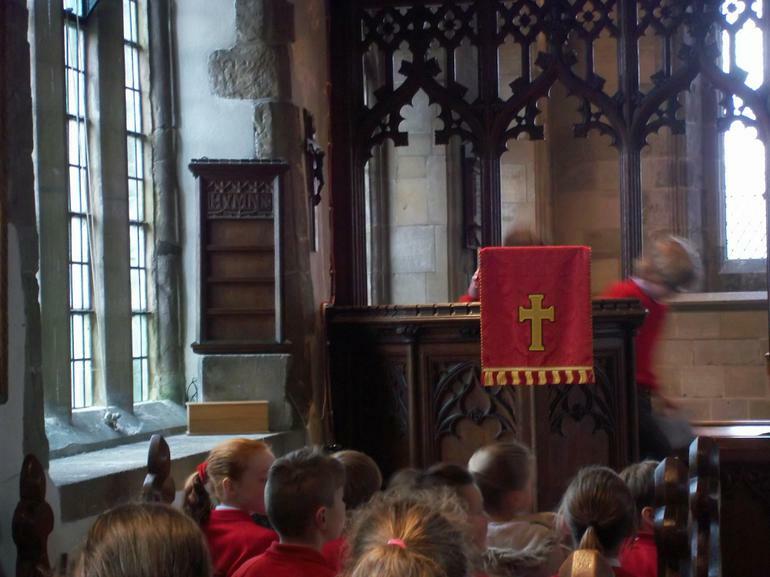 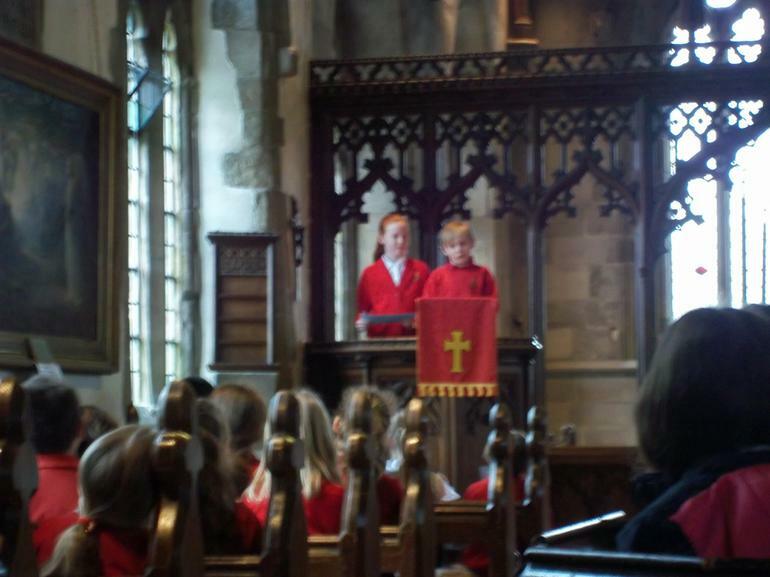 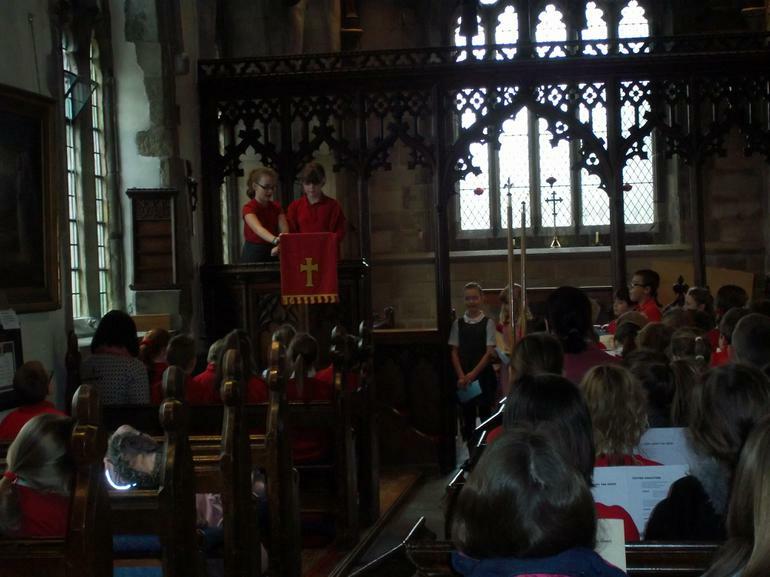 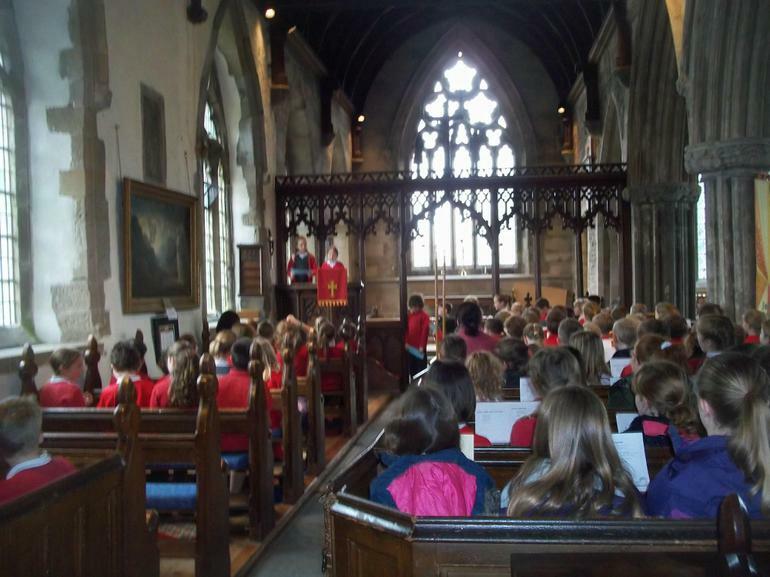 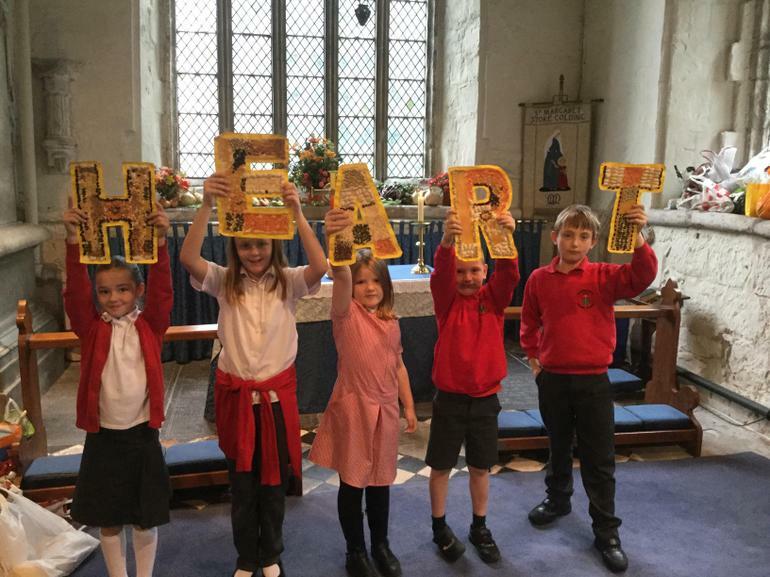 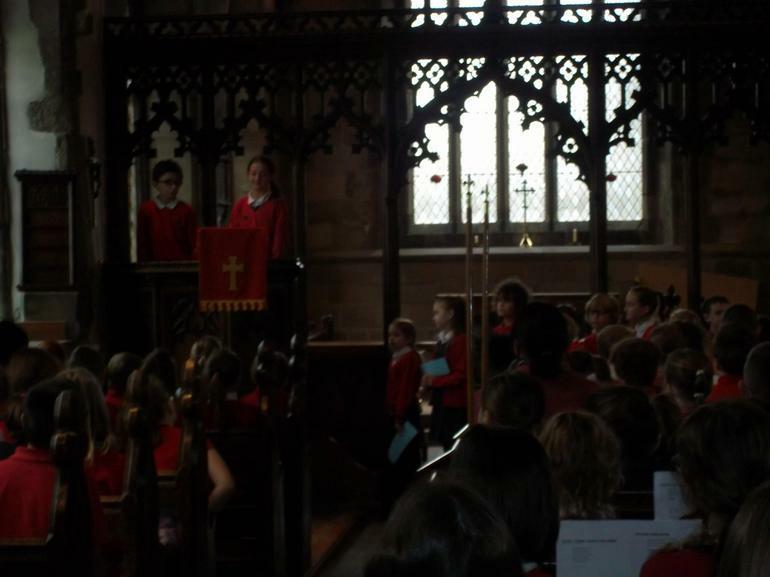 On Thursday 24th March, Year 4 led the whole school in our collective worship at St Margaret's Church. 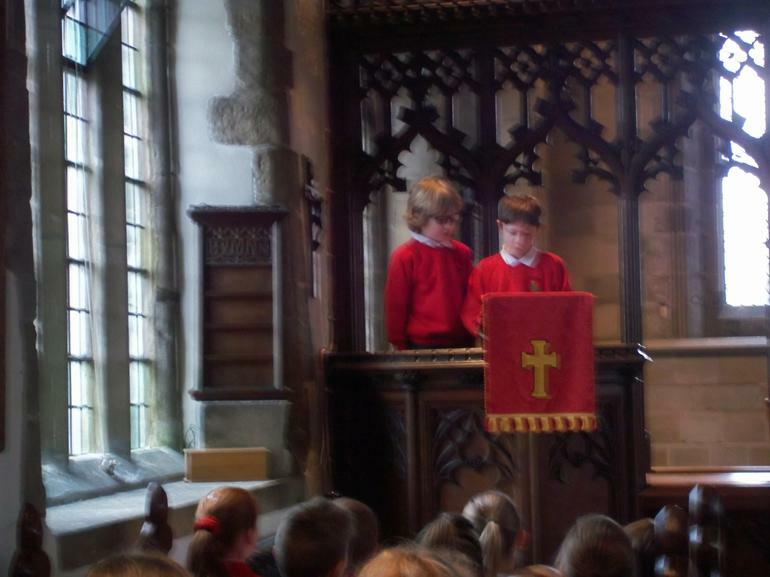 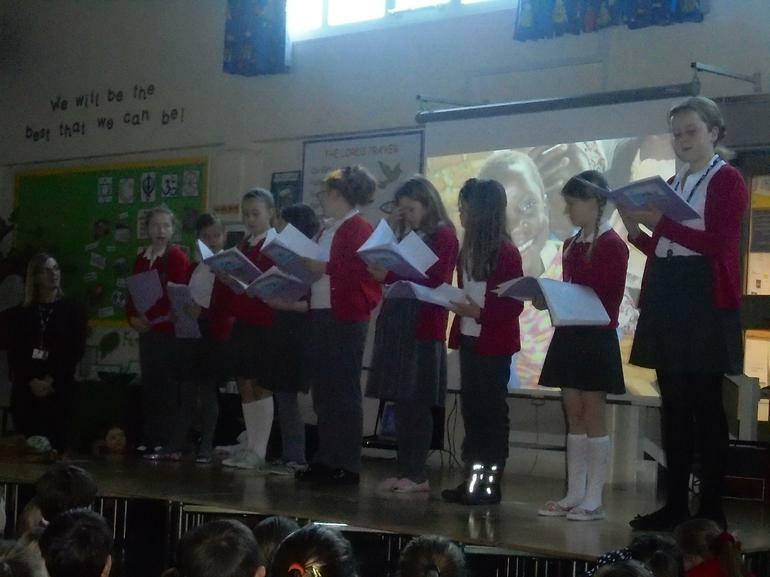 They shared the Easter story with us, told through poems and songs, which the whole school sang. 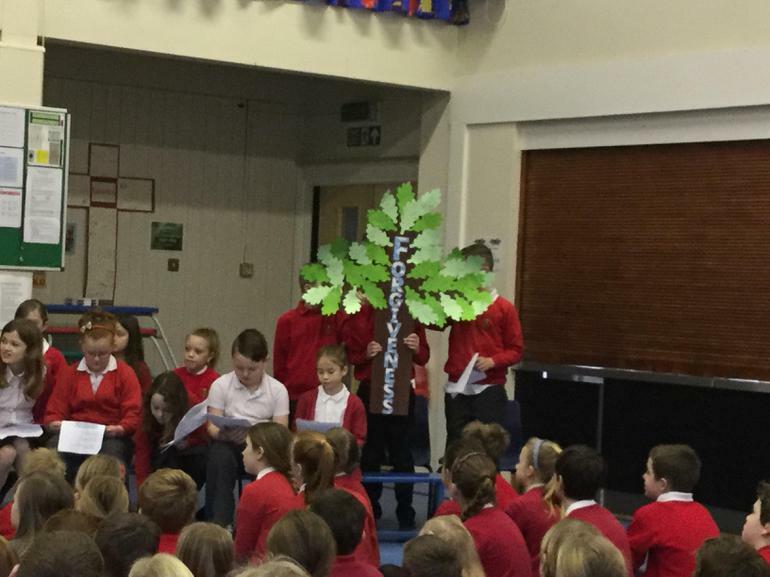 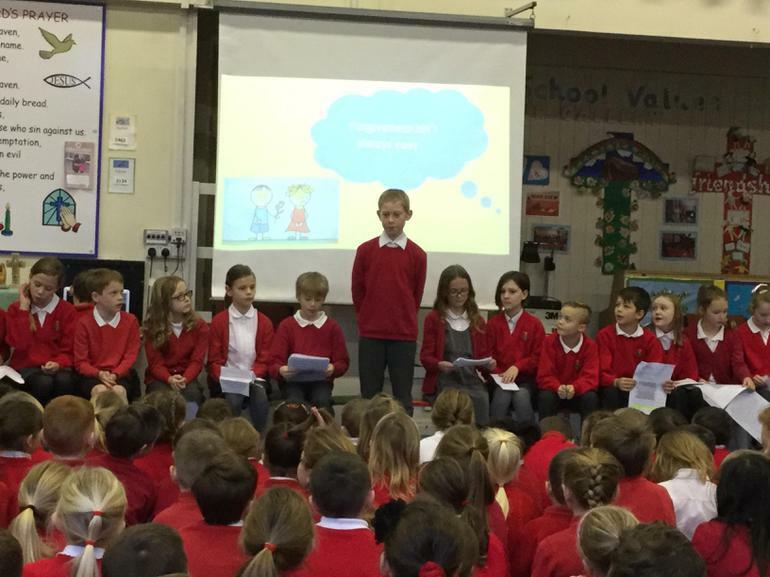 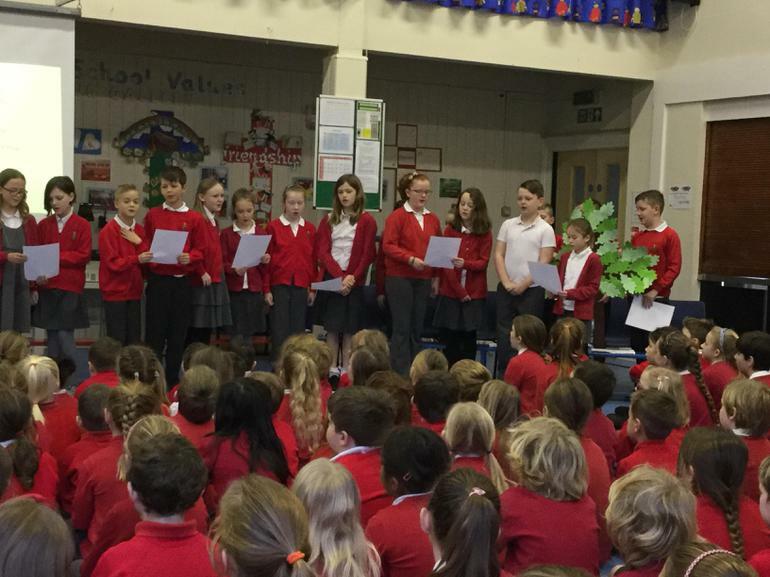 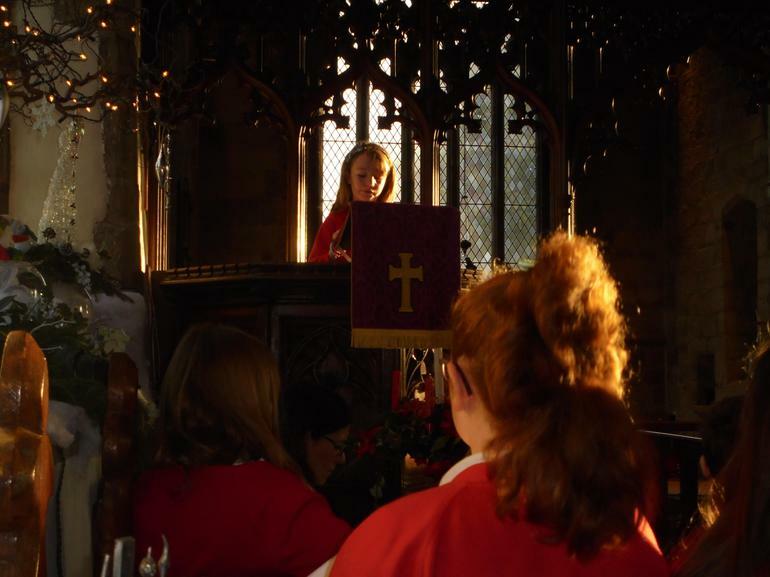 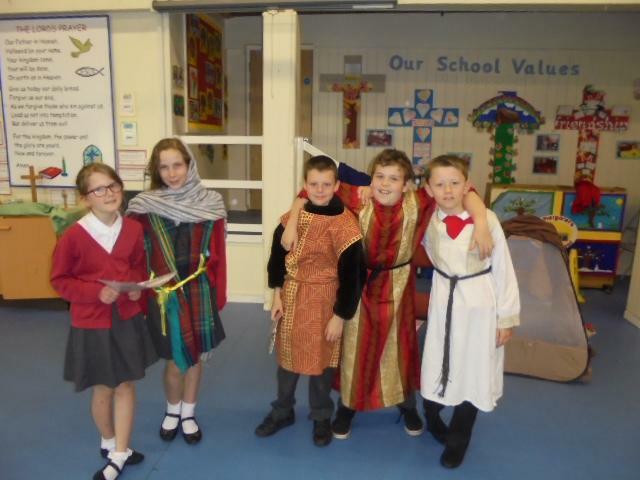 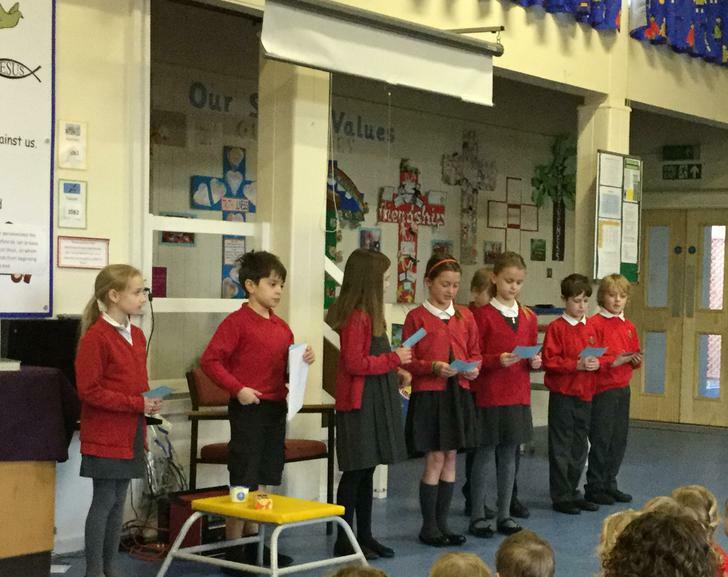 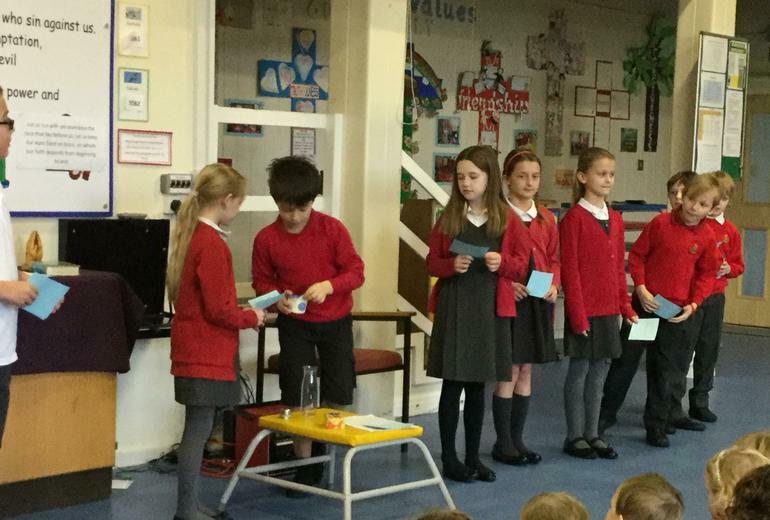 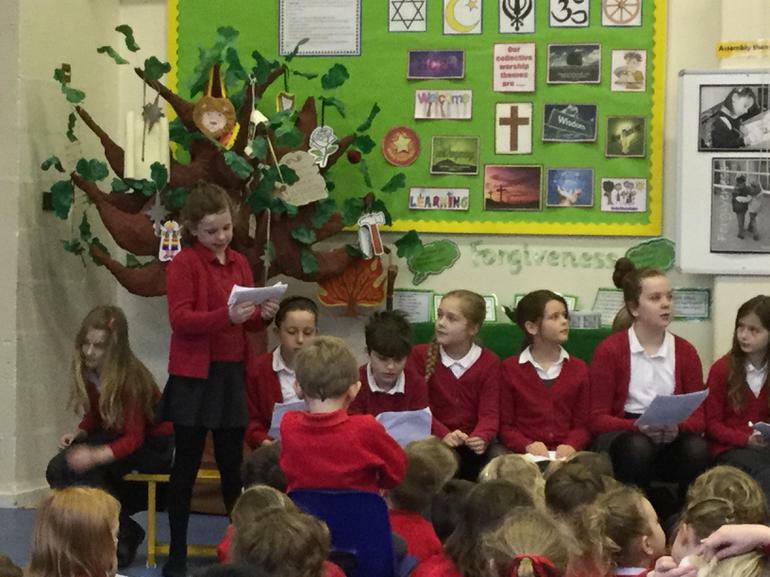 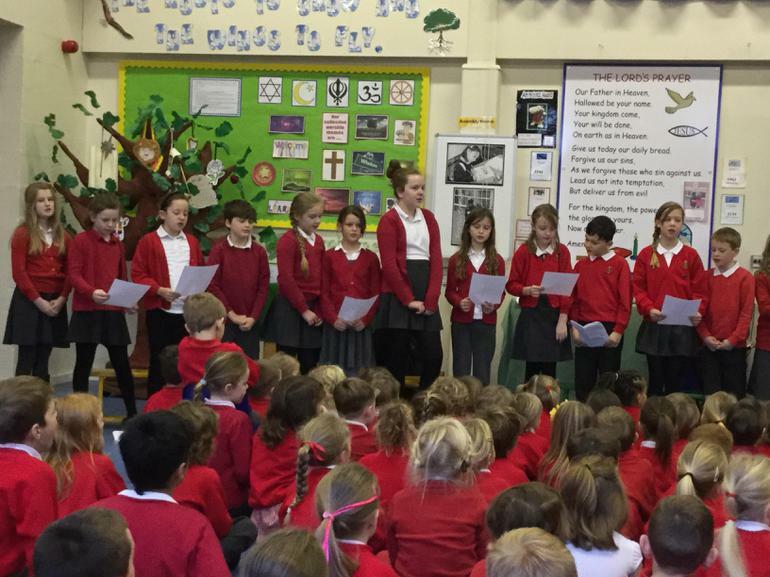 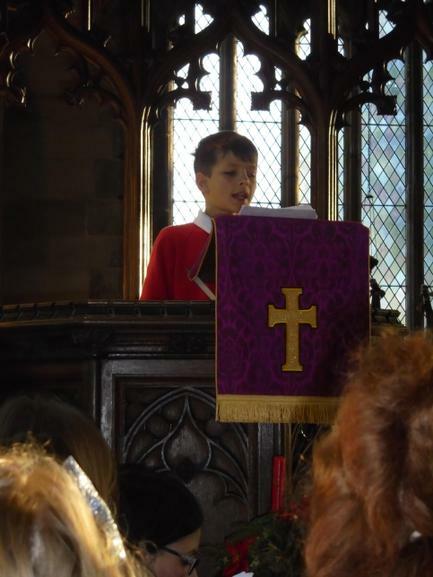 On Wednesday 23rd March, five children from Year 5 led collective worship. 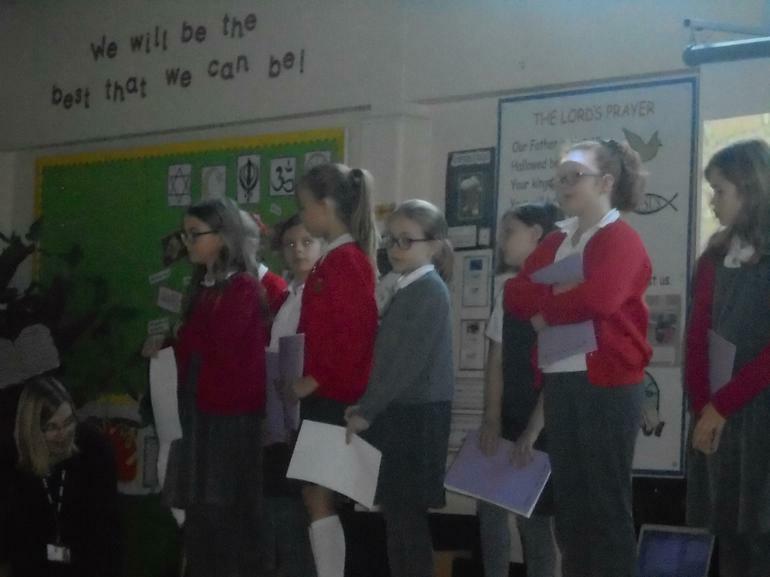 They shared with us what they had learnt on the Musical RE conference last week and taught us the song 'Creativity' with actions. 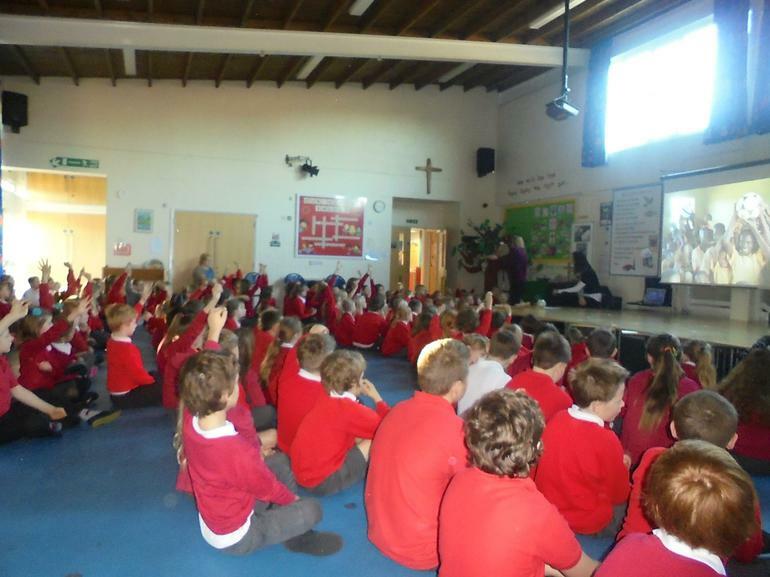 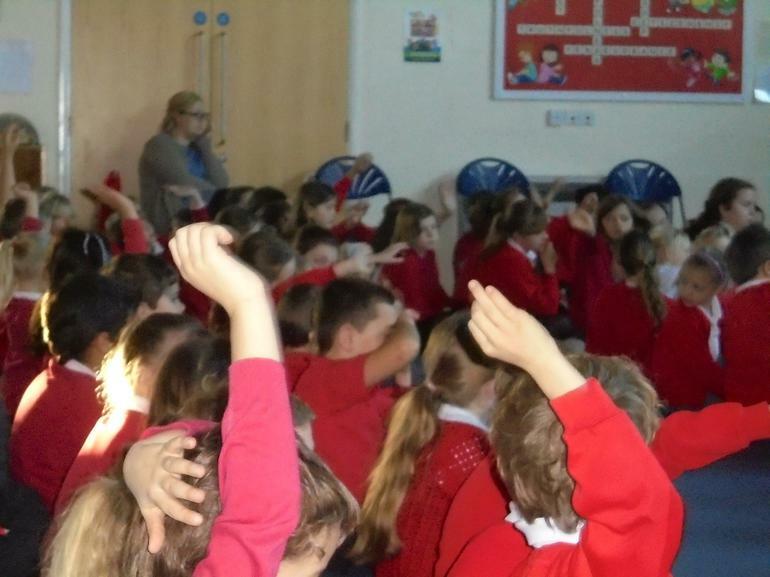 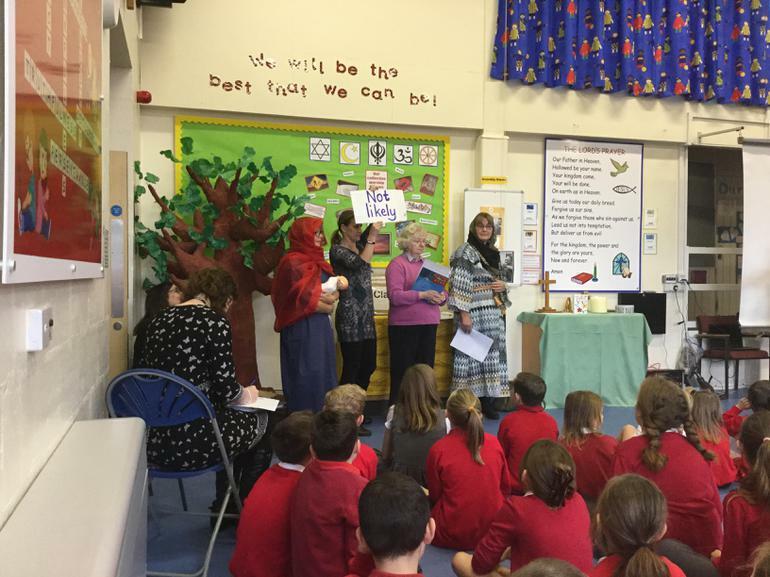 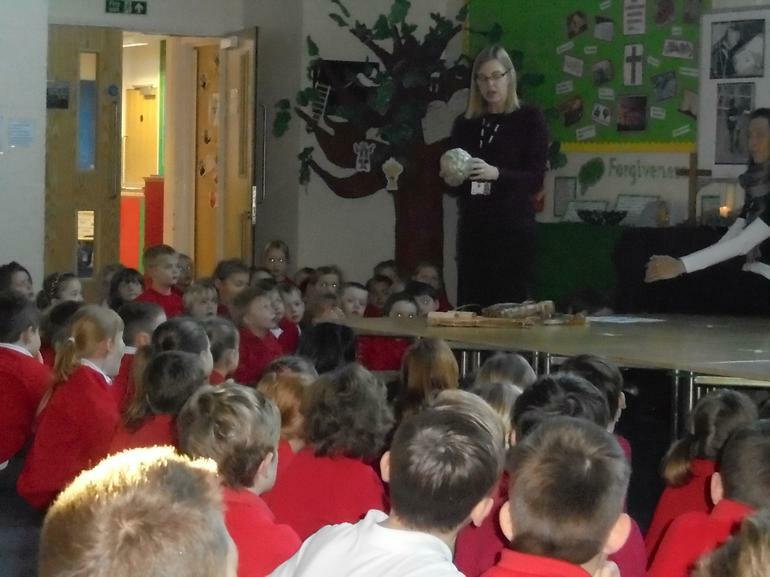 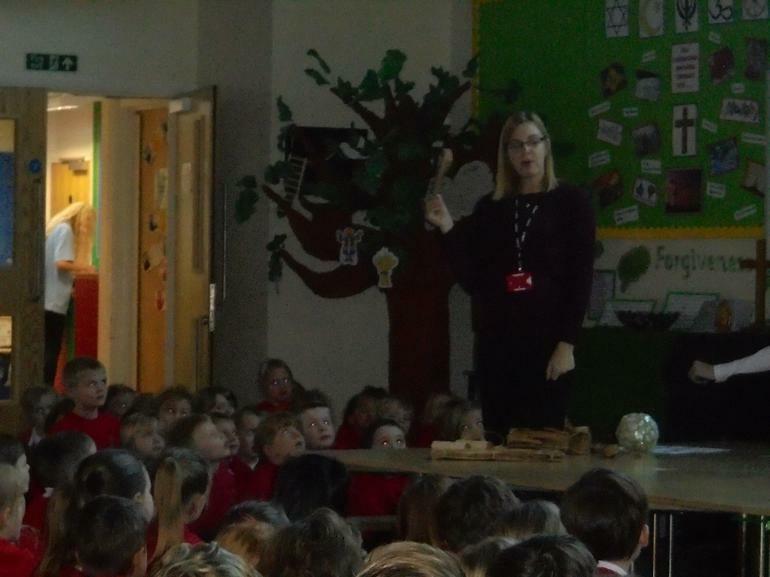 On Monday 22nd February, Year 4 led our collective worship based on our Christian value of perseverance. 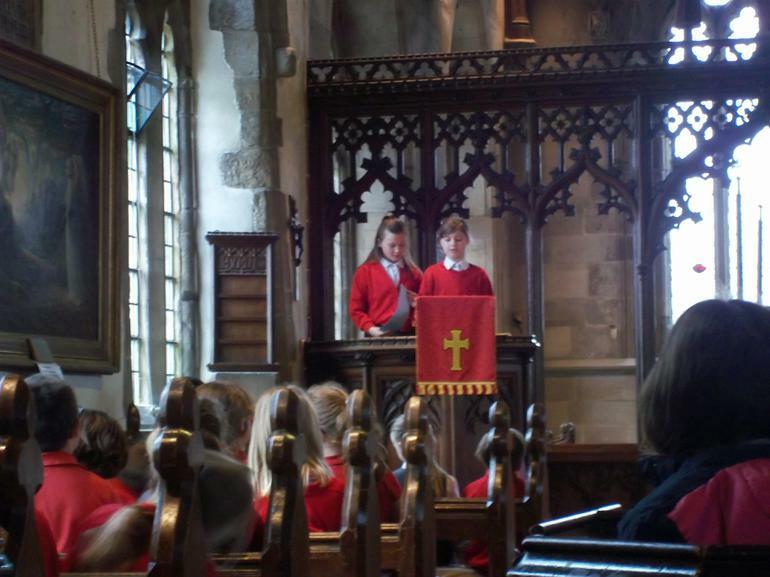 On January 11th, year 5 helped us to think more deeply about forgiveness through sharing their thoughts, poems, art-work, prayers and singing. 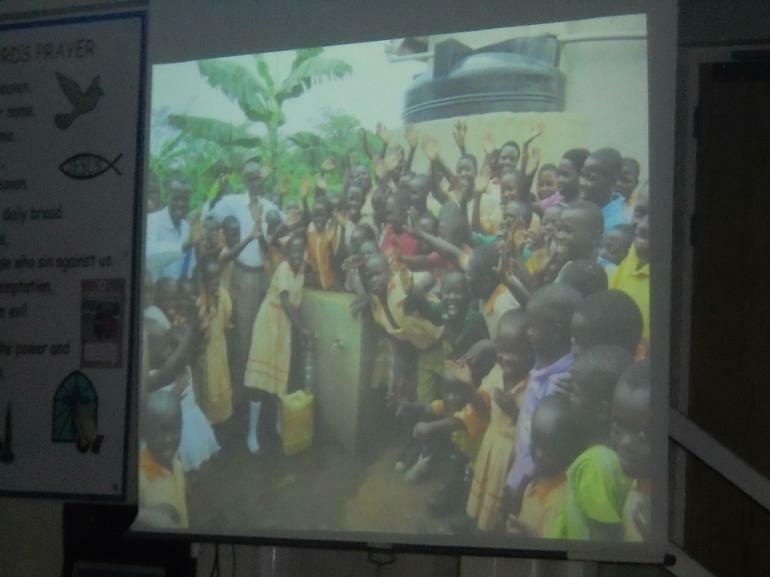 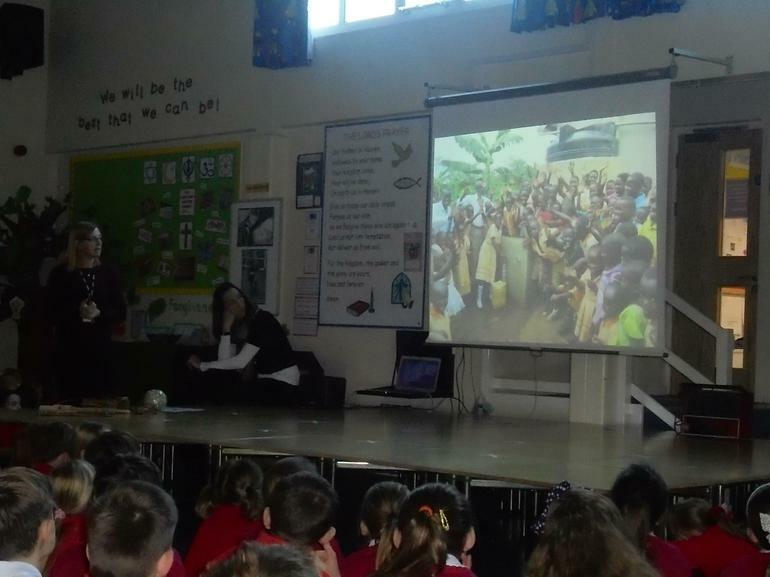 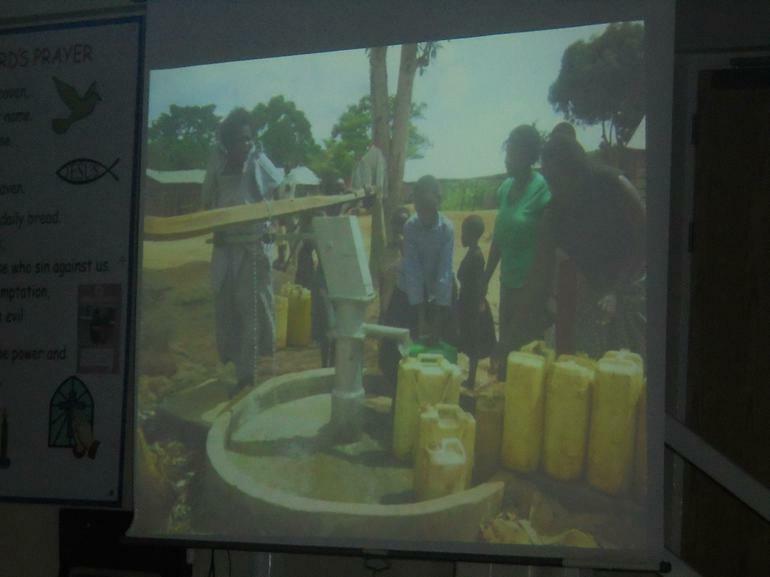 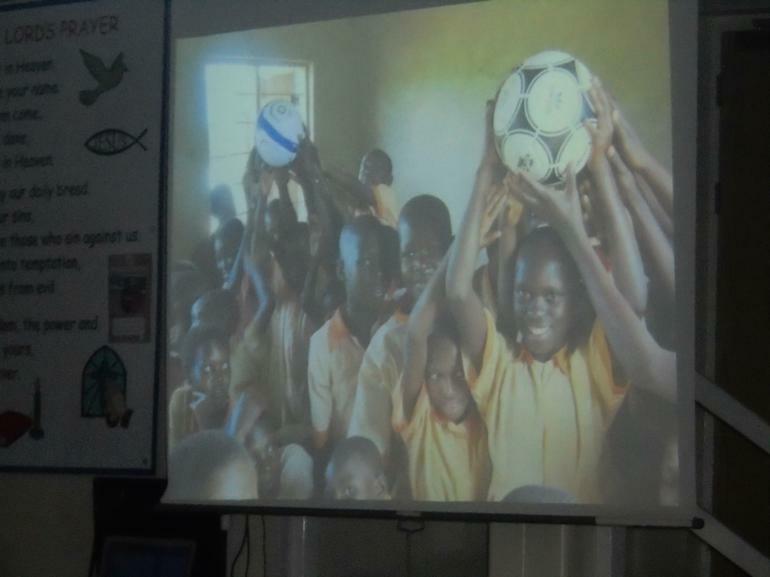 Today Mrs Ridout from the charity Aim for Change came in to talk to us all about her recent visit to Uganda. 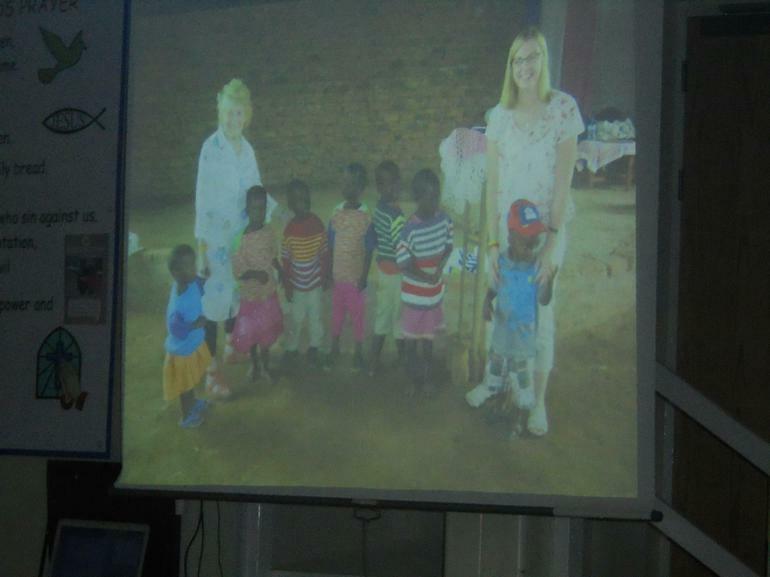 She talked to us about life in Uganda so we were able to compare a child's life in Uganda to our own lives. 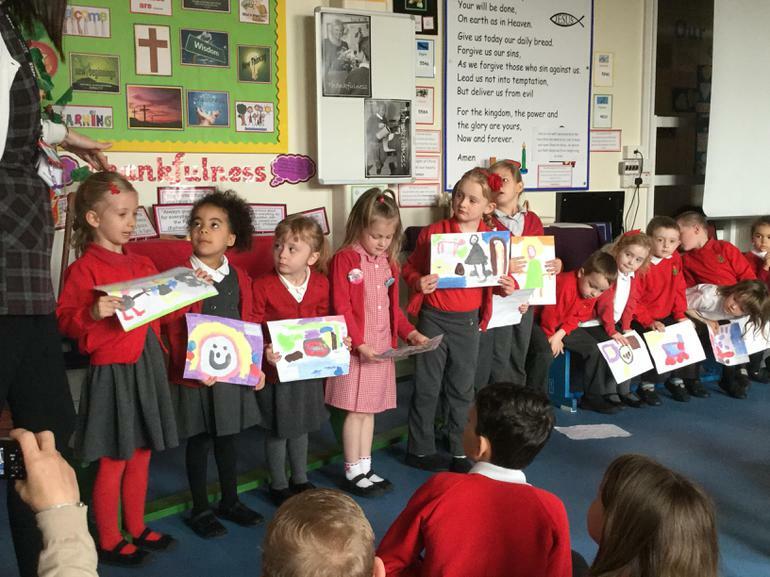 We learnt about how her Christian beliefs impact on the work she does and the difference that makes to so many people's lives. 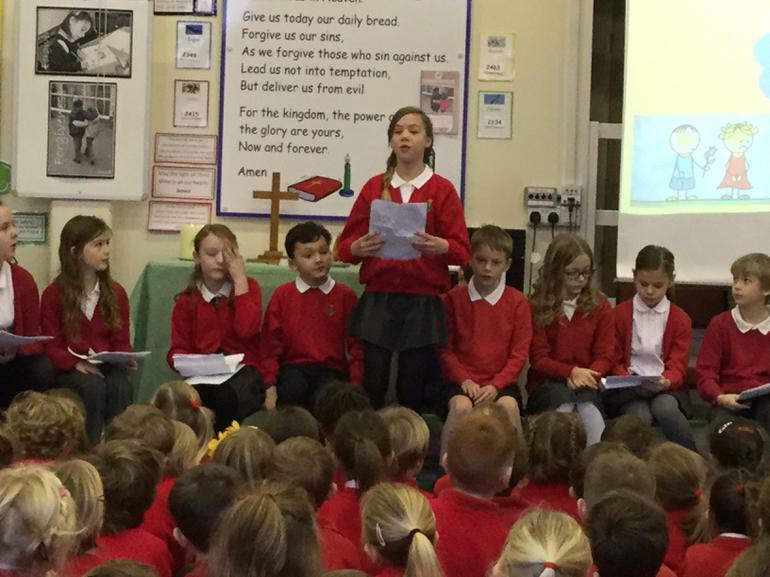 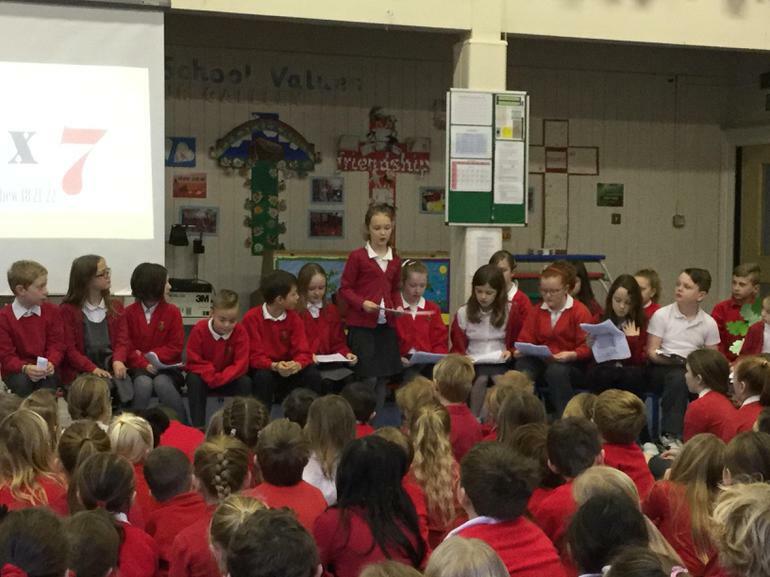 The Children in Year 5 talked about their thoughts on poverty and read out a prayer they had written to end our assembly. 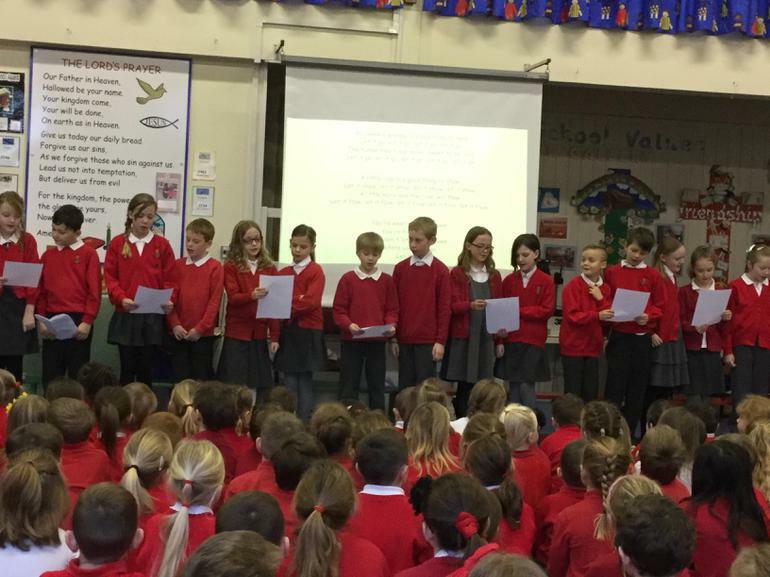 The whole school gathered together for two minutes silence at 11am. 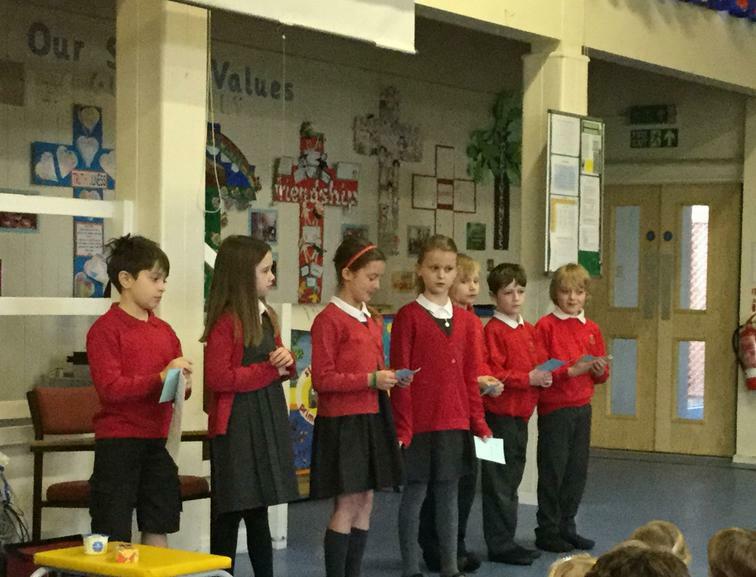 A group of children read some poems and prayers to mark Remembrance Day. 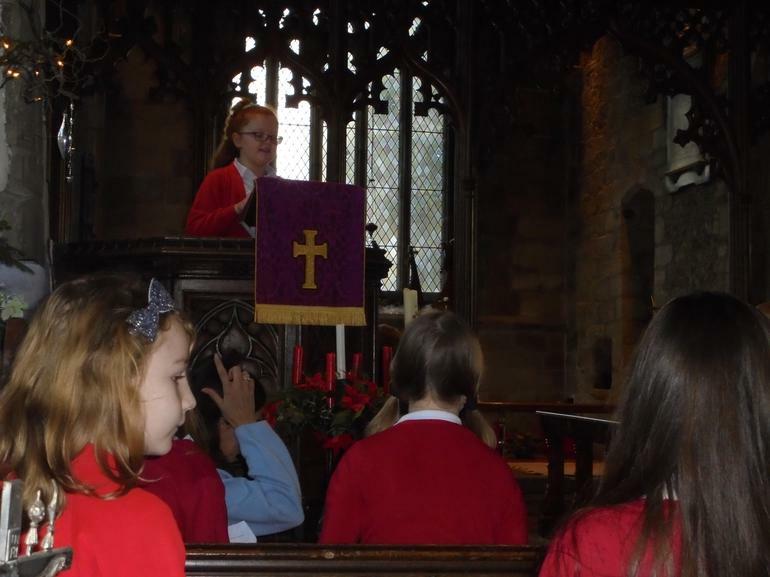 We thank you for the people who gave their today for our tomorrow. 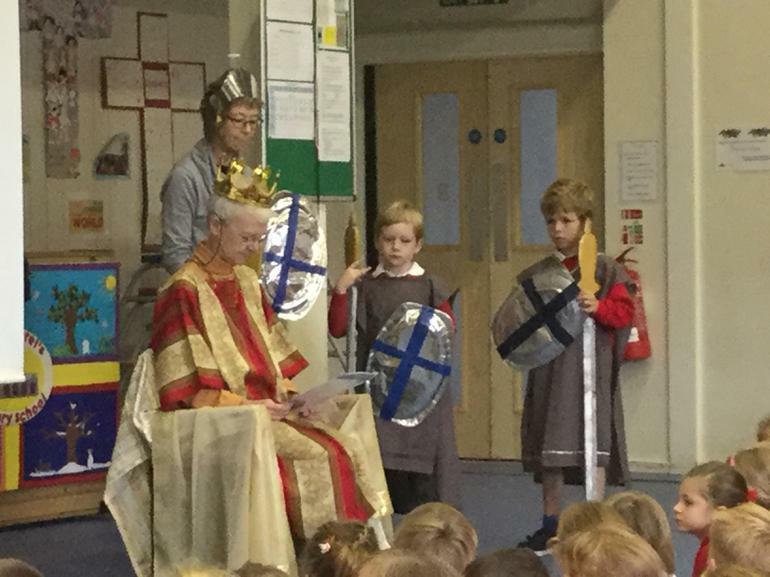 We thank you for the things you created to make us who we are now. 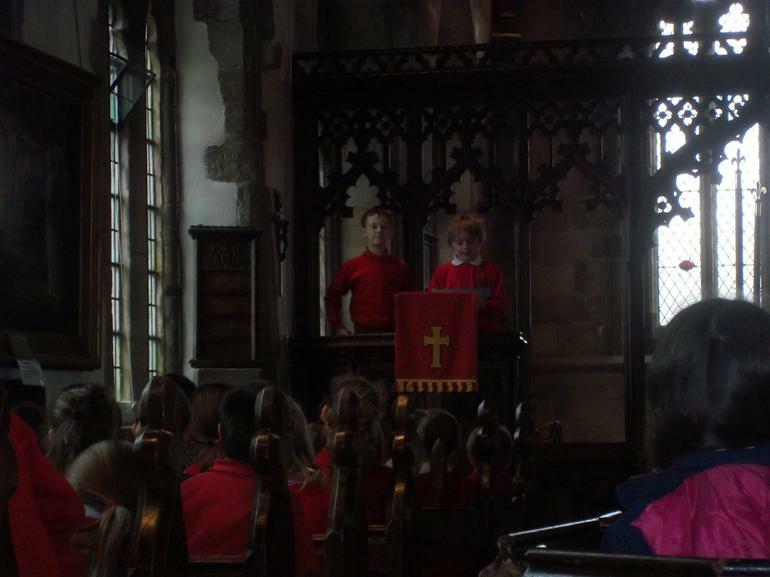 Forgive us for the things we have done. 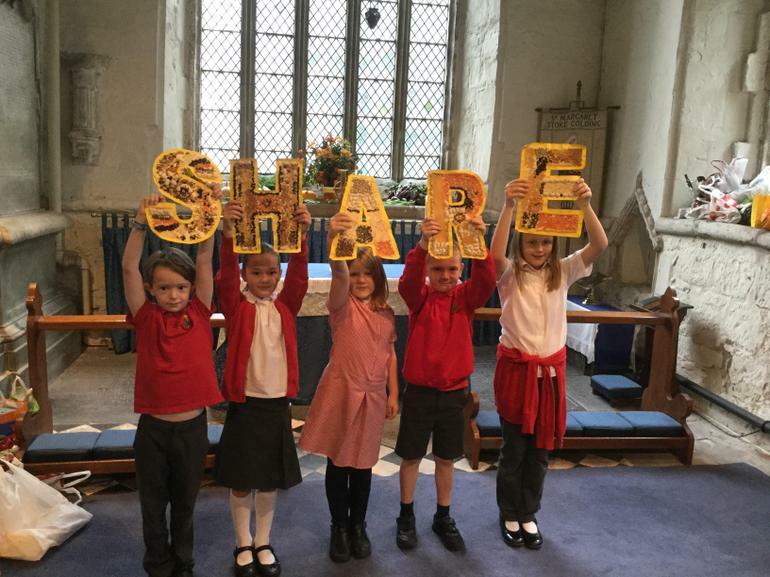 We are like a flock of sheep within our fold - God will protect us. 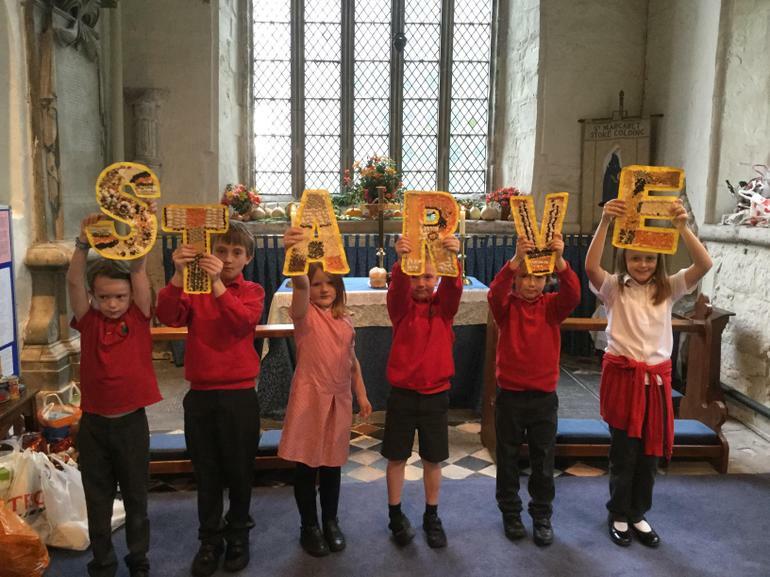 There are still people out there fighting. 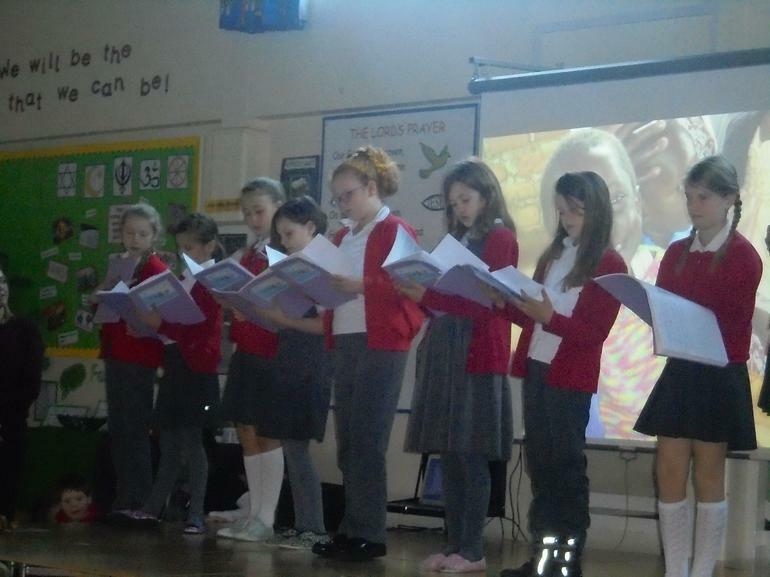 Help us to remember that, whilst we have peace in our country, many countries don't have peace. 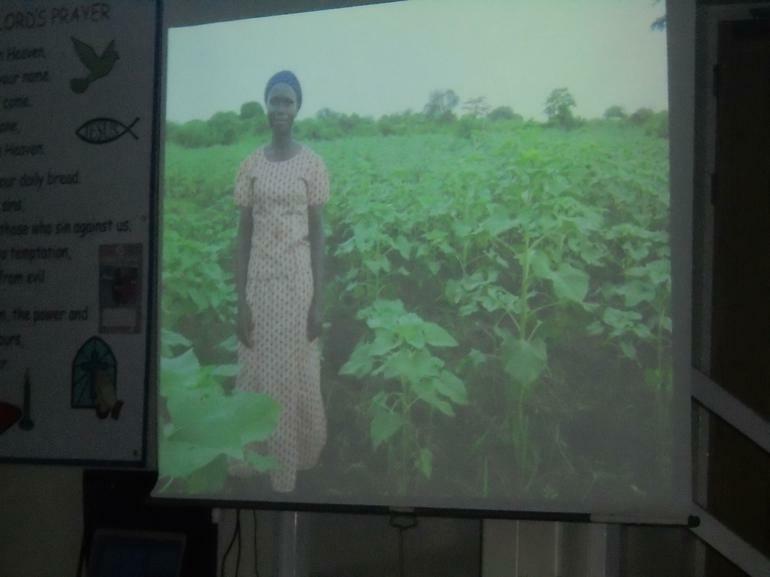 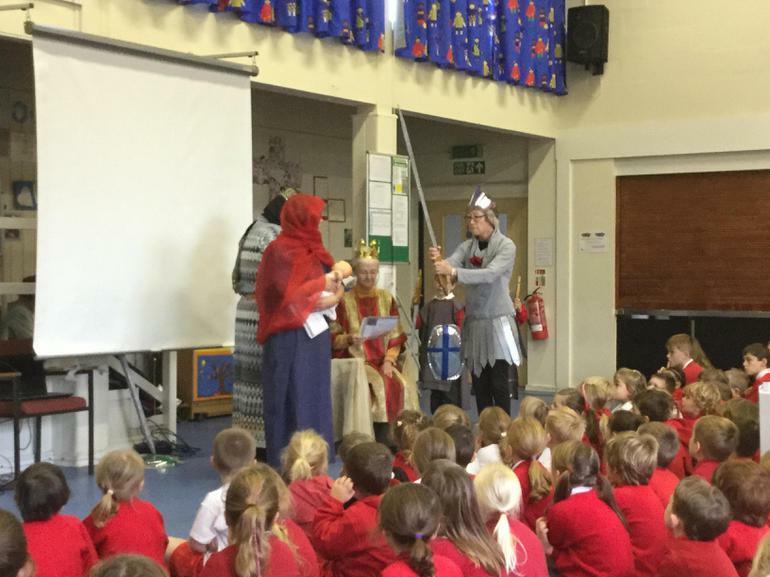 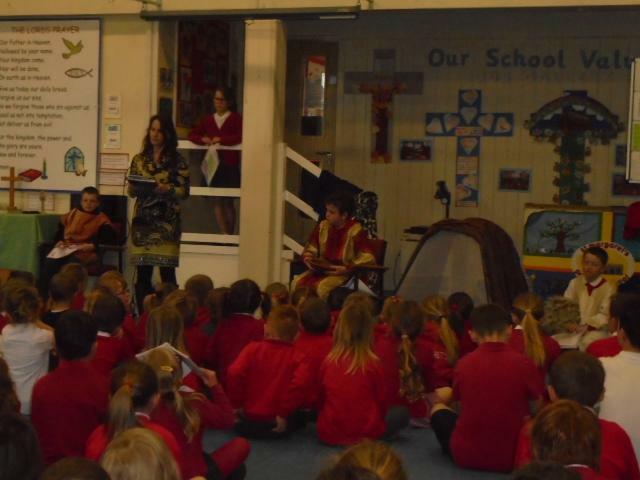 Children learnt that King Solomon was a wise King who relied on God for help.